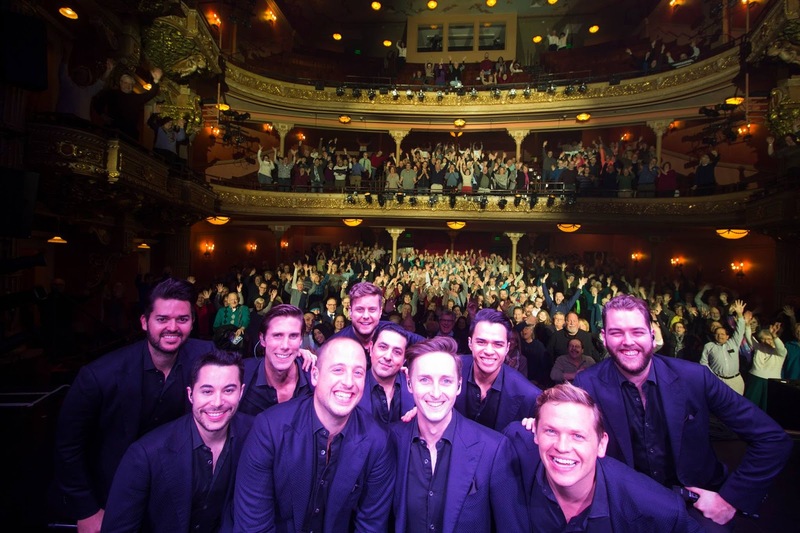 The Ten Tenors warmed up a chilled capacity crowd at The Colonial Theater in Pittsfield Massachusetts on a typical blustery winter night in the Berkshires. The crossover classical group is celebrating their 20th year with the Power of Ten Tour. 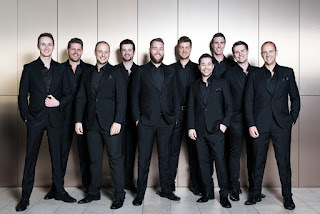 The tremendously successful act has accounted for six Platinum and Gold records and performed alongside countless music legends including Andrea Bocelli, André Rieu, John Travolta, Nicole Kidman, Geoffrey Rush, Keith Urban, Rod Stewart, Alanis Morissette, Sarah Brightman, Willie Nelson, Katherine Jenkins and Christina Aguilera. It comes as no surprise to me that they have the utmost respect of music industry people all over the world. Their set was comprised of two acts of diversity and musical excellence. The very first thing that struck me just before they opened the night was the stage lighting. The lights came shining down on the performers like rays from the heavens. The interesting thing was that it felt like musical heaven while taking in this special evening. What I was not prepared for was their implausible diversification and electric stage presence. These Australian performers know how to present any kind of music. Their abilities to do so points to the different ranges that each vocalist commands and how they are positioned on the stage. They do have a good sense of humor as well and the choreography was spot on and always right in sync. I think the highlights of the night for my ears were the “Jersey Boys Medley” and the encore of “Bohemian Rhapsody” and Bowie’s “Heroes,” which closed out the show and gave me chills several times. I am a huge Bowie fan and always have been so this was the icing on the cake for my night. I must tip my hat not only to the all-around performance of the ten men but the three others that provided the instrumentation, Ben Kiehne (piano), David Orr (guitar) and Trent Bryson-Dean (drums) were essential to their presentation as well. Without them it would just be voices, which would also sound wonderful. The musicians made a difference and so did the piped in orchestrations they had. Each number came together flawlessly once again proving that the most amazing instrument is the human voice. None of the extras included were necessary, they were just bonuses added to ten incredible vocalists with varying arrays of resonance. The Ten Tenors are a guaranteed fun night for any music lover. The fact that they cover a wide expanse of genres give them a worldly appeal - from the crowd that appreciates opera to the all-encompassing lovers of pop and rock music. It all comes together for an amazing night of entertainment. 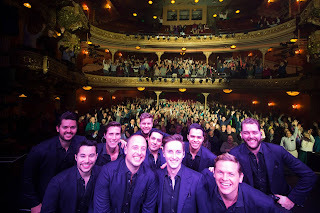 Selfie posted on Facebook of the audience at The Colonial, were you there?